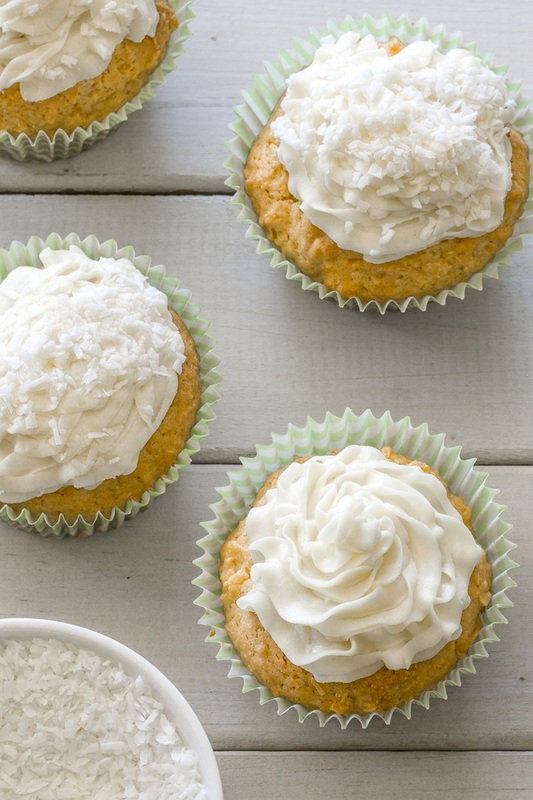 This recipe for dairy-free coconut cupcakes was an entry in our Spring Fling Dairy-Free Recipe Contest with So Delicious in 2014. It was created and submitted by Pam Correll. Today, we’re giving it a big update, so that you can enjoy the recipe for Easter, spring, and beyond. 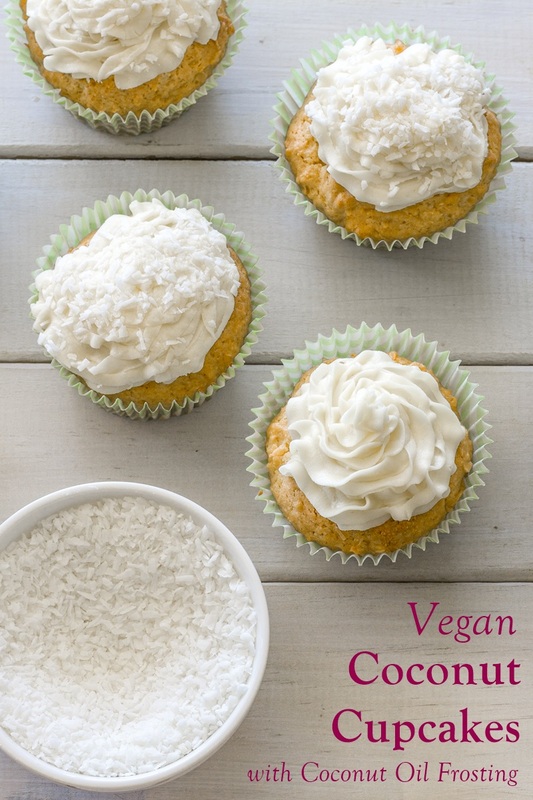 These perfect vegan and dairy-free coconut cupcakes are infused with coconut milk beverage and shredded coconut. We’ve also added an option to Pam’s recipe to use coconut oil, for even more flavor. And the frosting is made with coconut oil, so no margarine or shortening required! But keep in mind that coconut oil is much more heat sensitive than those other fats. So you’ll want to serve them at a cooler room temperature to avoid melting. Made these! Soooo good! Thanks for sharing. 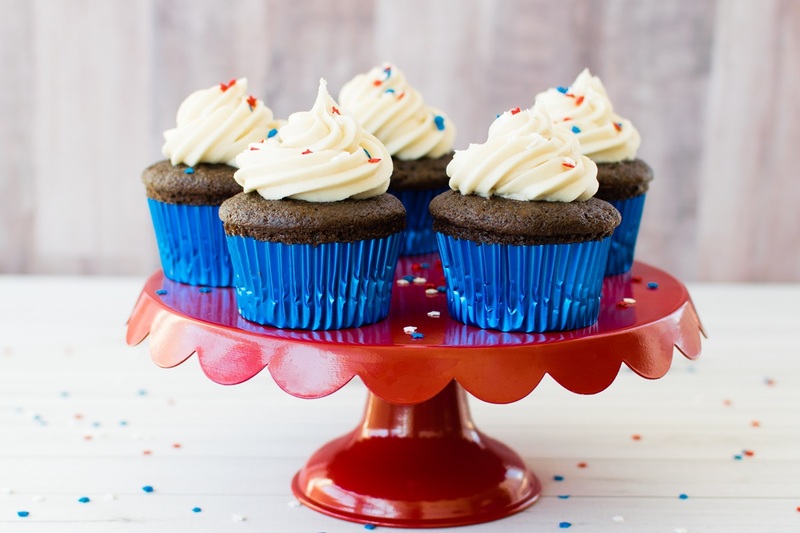 These cupcakes have a coconut oil frosting which can be heat sensitive. Serve immediately and avoid serving them in a warmer temperature. Preheat your oven to 350°F and line 18 muffin cups with paper cupcake liners. In a separate bowl, whisk together the milk beverage, oil, vanilla, and vinegar. Pour the wet ingredients into the dry mixture and stir to combine. Fold in the ½ cup shredded coconut. Fill the cupcake liners ⅔ full with the batter. Bake for 15 minutes, or until the tops spring back when lightly touched. Remove the cupcakes from the pans and cool completely. Depending on the temperature, you may have to soften the coconut oil. It should be soft, but not melted. Beat the coconut oil with an electric mixer until smooth. Beat in the powdered sugar and vanilla. Beat in 3 tablespoons of the milk beverage, and add more as needed. If the coconut oil melts to much, chill it for a few minutes in the refrigerator. 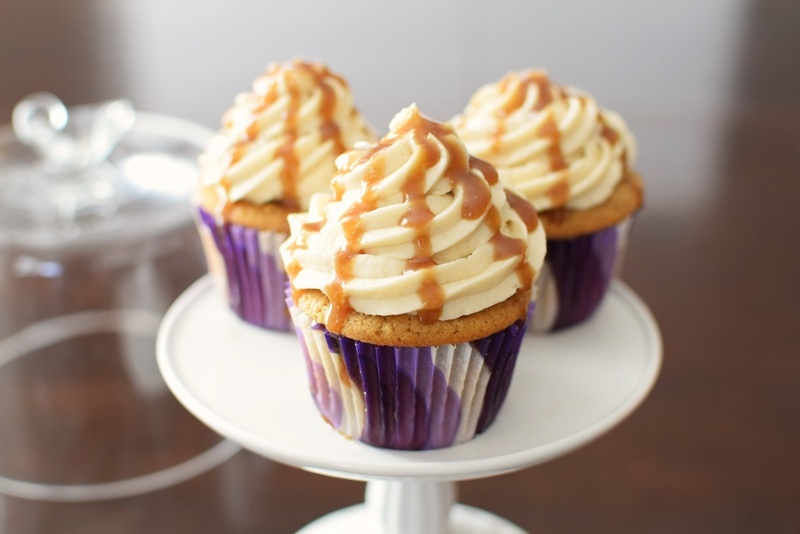 Use a pastry bag to pipe the frosting onto the cupcakes. 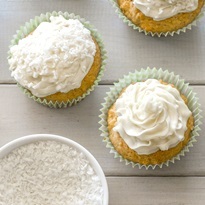 Sprinkle with the remaining 2 cups shredded coconut. Editor's Note: Pam uses canola oil, but you can use any neutral-tasting oil, like rice bran oil, grapeseed oil, vegetable oil, or extra-light olive oil. 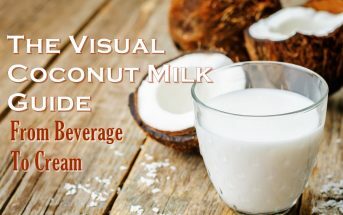 You can even use melted coconut oil, but be sure your milk beverage is at room temperature if you use this option. Coconut oil solidifies easily if it hits a cool liquid. 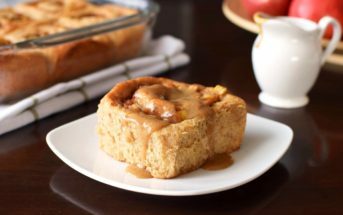 For More Easy Recipes, Get Go Dairy Free! Why can I not print any of your recipes? Can you give me any assistance with this? Please Help! Oh no! So right under the picture within the recipe there is a print button. Click on that, and it will open a printable format. Then right click and select “Print” (or use another function on your computer to print). Does that work for you? Are you not seeing the button? Sorry for your trouble Judith!